Morocco’s King Mohammed VI has said his country is fully committed to the respect, protection and promotion of human rights, affirming that this national commitment is not just enshrined in the Constitution, but it is a determinant of Moroccan political, economic and social agenda. In a message addressed to participants in a meeting convened Thursday in Rabat to mark the 70th anniversary of the Universal Declaration of Human Rights, the Moroccan Monarch said the Moroccan 2011 Constitution, which was drawn up using a participatory and inclusive approach, includes a real charter of basic rights and freedoms, itself based on the universal frame of reference for human rights. The Moroccan Constitution “guarantees the judiciary full independence and sets up a system of pluralistic and independent bodies for the protection of rights and freedoms and for the promotion of participatory democracy, human rights and good governance”, stressed the king in his message read out by royal advisor Abdeltif Menouni. 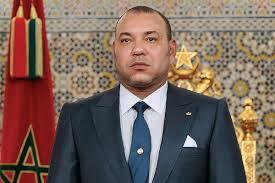 “I am keen to make sure Morocco consolidates its achievements and keeps moving forward. In this respect, the Kingdom is putting the finishing touches to a national action plan for democracy and human rights”, said the Monarch, noting that this action plan includes a large number of measures aimed at consolidating democracy and strengthening respect for human rights in all areas. In parallel, “our country has continued to interact positively and energetically with the international human rights system, in particular the Human Rights Council and the Office of the High Commissioner for Human Rights”, underlined the King. He cited in this regard the ratification by Morocco of nine International Human Rights Instruments, the visits paid to the country by several UN special rapporteurs, the Global Compact on Migration adopted in Marrakech and the active role played by Moroccan civil society in the protection of human rights and in participatory democracy councils set up by the state and local authorities. In thirty years or so, the status of national human rights institutions has been steadily enhanced, and their contribution reinforced, both domestically and within the United Nations system, affirmed the Monarch. King Mohammed VI views the celebration of the 70th anniversary of the adoption of the Universal Declaration of Human Rights as an opportunity to take stock of the progress made during the last decade and to gauge the challenges facing us as well as the ground still to be covered. Written by: Jaber Ali on December 20, 2018.on December 21, 2018. Posted by Jaber Ali on Dec 20 2018. Filed under Headlines, World News. You can follow any responses to this entry through the RSS 2.0. Both comments and pings are currently closed.